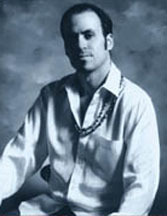 Gary Justice is a a DJ, musician, and spoken word artist. He has performed in Los Angeles for over ten years. Gary plays several instruments including, guitar, harmonica, and percussion. He has integrated these elements in live performances and in his first album, Dancing with the Machine, a collage of songs, poetry, and percussion. Gary's company, Justice Live Sound, has produced special events, as a DJ and sound designer. His productions & collaborations include over a dozen events including, Conscious Vibes, a live jazz & poetry show with Michael Rai, and 2 underground poetry/DJ events called Bionic Beats. As a DJ, he specializes popular dance music and all forms of techno, sometimes incorporating Old World music and chants in the mix. Gary resides and still performs in Los Angeles area.